It seems daily the news of the run-a-way oil well in the Gulf of Mexico brings information more dire than the day before. Volume numbers that seemed extreme estimates are quickly passed and even larger estimates thrown out. We are slowly being pulled to the reality of a disaster of proportions never before seen in the United States. While the Deepwater Horizon rig burned, British Petroleum (BP) expressed confidence little to no crude oil would escape into surrounding waters. After the rig sank, BP and Transocean reported the volume of crude was limited to the over 25,000,000 gallons estimated to be aboard at the time. It was then found the pipe had a small leak but BP was sure they would have it under control and posed little environmental risk. Next, that was changed to a 6,000 barrel a day estimate and it has been a moving target ever since now resting at 2,500,000 gallons a day. During this time, various methods of ending the uncontrollable flow of crude oil in the Gulf of Mexico have met with failure. BP would propose a solution, the government would stand behind it and it would fail leaving the public more and more frustrated. The problem is the solutions proposed were destined to fail. Since the first day, BP and the government have known or should have known they would fail. Comments like “we are going to try a top-kill, but the long term solution is a relief well” give a huge hint to their agenda all along. BP is simply placating the public to allow themselves time to complete the only solution they have known will work, the relief wells. All along, it has been known that to control a run-a-way well, a relief well must be drilled. The question is, if this is the case why is a relief wells not drilled as a natural order of business when drilling a well in the first place? It seems the prudent thing to do. Had BP drilled the two relief wells as they drilled the primary well, this issue would be over by now. People affected by President Obama’s moratorium on deep water drilling rightly complain that their livelihoods are at stake. Where were their complaints when BP was risking that livelihood? In fairness to them, they may not have understood the risk BP was taking, a risk all oil companies take. The moratorium must stay in place until oil companies, all oil companies, prove they have procedures in place to deal with the worst possible case. That is the ability to kill the well and prevent it from leaking. To claim they did not foresee this possibility is simply a lie. All engineers know better. Did the guy that designed the Titanic really believe it was unsinkable? Really? This is a case where business received what it was asking for, lax regulations. Now they must deal with the results and pay for the mess they created. Government must require companies to have real plans of dealing with the worst possible disaster, regardless of cost. Other companies with deep-water operations need to start drilling relief wells today. If they are never needed, that is great. If they are needed, it will take a day or two to complete the job of killing a well rather than months. It is time to use logic in dealing with operations like deep-water drilling and not leave the choice of what to do in the hands of companies trying to make a buck off the process or a government that acts as their shills. Ever Heard of Externality – Oil Companies Have! Unless you are an economics major, most likely you have never heard the term externality. Regardless, it affects each of us every day in positive and negative ways. In days gone by, its affects were serendipitous but today corporations go to great lengths to take advantage of externalities to the detriment of the public at large. You buy a home in a rundown neighborhood, fix the house, and clean up the yard. Your efforts not only benefit you but your neighbors as well. Your efforts, for them, are a positive externality as they enjoy the improved view and your efforts even increase their property value at no cost to them. The house you purchased and fixed up is on a lovely stream full of brook trout. Two years after you move in, a manufacturer builds a facility 30 miles up-stream. The solvent they dump into the stream goes unnoticed, unregulated, and pollute it. All you know is the fish are gone and it smells bad. You have the water tested and it’s full of sulfur and will cost you and your neighbors $100,000 to clean up. Unless you can trace the pollution back to the company, you and your neighbors bear the cost of a problem created by another. In the positive example, the actions of one benefit another; in the negative example, the actions of one harm another. Individuals, corporations, and governments leverage externality. In the case of individuals they simply may enjoy a benefit, a business might avoid a cost it should rightly pay, governments may demand social programs be financed by both corporations and individuals that receive no benefit from it. The real problem with externality comes with not recognizing it for what it is. This lack of understanding lends itself to abuse and corruption on a massive scale. We need look no further than the Gulf of Mexico for a real-life example. Even before stopping the leaking oil in the ongoing disaster, the corporation that owns the sunken Deepwater Horizon oilrig, Transocean Ltd (Transocean traces its roots to the Gulf of Mexico but now is headquartered in Geneva, Switzerland[ii]) filed a motion in Federal Court seeking to limit liability to just under $27 million. An article posted on Law360’s website[iii] by Melissa Lipman gives the details as well as a link to the actual filing. 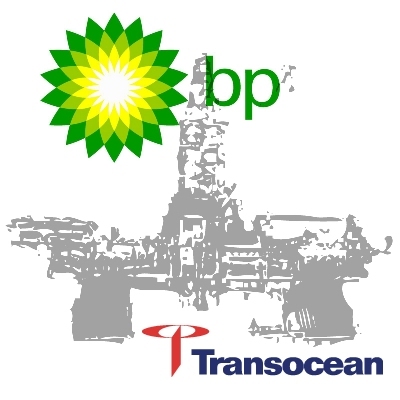 Transocean seeks to transfer the cost of the oil spill to British Petroleum (BP) and taxpayers in the United States. In effect, making any additional costs an externality, an externality we must pay and they avoid. By the way, the 1851 law Transocean sites limits ship owner’s liability to the value of a ship after its loss. This makes them liable for the loss of cargo only. Transocean claims the rig had about $27 million worth of crude oil on it when it sank. If successful, Transocean will keep most of the $533 million[iv] of insurance money carried on the rig. All the while, BP is relatively happy knowing federal law limits its liability to $75 million, unless they were negligent in maintaining federal safety standards. BP still faces lawsuits filed in state courts but in the end, they too will avoid the total cost of the clean up effort by transferring much of it to the government and ultimately the American taxpayer. Externality is the game corporations play to win. Back in my engineering days, our motto to reduce repair costs was “make it someone else’s problem.” It was very effective to say the least. Corporations take this motto and run with it in every aspect of business. They seek laws that push costs rightly bore by them to taxpayers. Furthermore, they seek to have unrelated laws interpreted to reduce liability. The Transocean filing is a perfect example. They are attempting to use a law that limits a ship-owner’s liability concerning cargo to limit their liability regarding environmental damage of the product they pump out of the ground. Corporations use the 14th amendment to the US Constitution to define themselves as a person but that does not give them the good judgment or morality that comes with sentience. There is evidence to suggest if a real person acts like a corporation, society will deem him or her a psychopath[v] if measured by World Health standards. While that may not be true for all corporations, it does explain much of the bad behavior the news covers almost daily. Corporations cannot be trusted with environmental stewardship. It is contrary to their primary purpose to maximize profits for their owners. That is why we need sensible regulations that require businesses to correct the bad deeds and unintended consequences (giving them the benefit of the doubt) regardless of cost. In the end, we need to prevent corporations from using calculated externality to shift costs they rightly should pay. It is not a question of their particular product costing more because someone else’s will cost more to make up the difference. Take businesses’ own axiom “there is no such thing as a free lunch.” In this case, the big oil companies are eating the lunch but taxpayers are going to pick up the tab. [i] The Economist Newspaper, Limited. “Economics A-Z.” Economist.com. Web. 22 May 2010. <http://www.economist.com/research/economics/alphabetic.cfm?letter=E>. [ii] Transocean, Ltd. “Transocean :: Our History.” Transocean :: Home. Web. 22 May 2010. <http://www.deepwater.com/fw/main/Our-History-3.html>. [iii] Lipman, Melissa. “Transocean Seeks To Cap Oil Spill Liability At $27M – Law360.” Law360 : The Newswire for Business Lawyers. Web. 22 May 2010. <http://www.law360.com/articles/168268>. [iv] Kahn, Chris. “Transocean Cites 1851 Law to Limit Spill Liability – U.S. Business- Msnbc.com.” Breaking News, Weather, Business, Health, Entertainment, Sports, Politics, Travel, Science, Technology, Local, US & World News- Msnbc.com. Web. 22 May 2010. <http://www.msnbc.msn.com/id/37128693/ns/business-us_business/>. [v] Hulu – The Corporation – By Joel Bakan. http://www.Hulu.com. Web. 22 May 2010. <http://www.hulu.com/watch/118169/the-corporation?c=News-and-Information/Documentary-and-Biography>. The need to be proactive regarding danger is obvious enough. Unfortunately, we rarely are. We, as a nation, tend to accept the best-case scenario as our hallmark for disaster planning with horrific results. Hurricane Katrina is just one example of improper planning resulting in catastrophe. Now the Gulf area faces a new disaster from an oil spill. In the end, perhaps neither was preventable but proper planning would have limited the damage. A lot of sayings deal with planning, the one used as the title by President Kennedy speaks to finding and addressing defects before they become immediate problems. As understandable as it seems, it is exactly where we fail. Take Katrina, for instance, it is easy to blame the federal government for its poor response to the disaster but the state of Louisiana and indeed the city of New Orleans failed to plan for such an event and have an effective means to deal with it. Had they, the loss of life and suffering would have been greatly reduced. That is an example of government failing to recognize a danger. They are not the only ostriches sticking their heads in the sand; big business does it too. The current oil spill illustrates the point. British Petroleum (BP), Transocean Ltd, and Halliburton (the three companies involved with the failed oilrig) are busy pointing the finger at each other while they face the herculean task of cleaning up the mess. Their collective assurance that something like this could not happen is little comfort to all concerned. While it will take months to sort out just what went wrong, the root cause stands out like a flashing light in the dark – improper planning. The event they said could not happen, did happen. Because they assumed it would not, they had no plan to deal with it. Because a safety feature, the blowout valve, was assumed would always work, it became a single point of failure in a system that should not allow for single points of failure, regardless of belief. In the end, the disaster will cost each company millions of dollars. Rather than spend much less upfront, they gambled, lost, and now face paying much, much more. That, of course, does not even take into account the loss of life and the devastating environmental effects. That gamble does bring up another question, where were the federal government regulators in all this? It is not as if the companies had not supplied a disaster plan to them. More than likely, they simply failed to question safety and assumed it would all work out. While it is too late to prevent the oil spill in the Gulf of Mexico, it is not too late for preventing future ones. Even with the spill, it appears President Obama is still in favor of offshore drilling which makes it even more important to change the approach to safety. Rather than assume the best, we must assume each rig will fail in the worst possible way, and put safety systems in place to handle it. Not drilling at all is the safest way but given America’s demand for more and more oil, we have little choice until that appetite is addressed. It is true the cost of a rig will increase with better safety measures designed in. That cost is nothing compared to the cost of cleaning up. Even beyond clean-up costs, spills hurt the value of a company. Since the spill, the stock price for BP has fallen about 17%. That is a $32 billion drop in value. Perhaps the $1 million or so spent on better safety seems a deal to BP now. The question is how to change that hindsight into foresight. The oil spill is going to influence the debate regarding offshore drilling. On the one hand, we need the oil. On the other, nobody wants oil soaked beaches and the wholesale devastation of a spill. What must be apparent to everyone is the need to put safety first, before delivery quotas, and before profits. It is too important an issue to allow companies to self-regulate as their motive is profit based. As horrible as the current spill is, it simply has announced the rainy season is coming; we need to fix the offshore drilling roof now before we face even more devastation. Kennedy, John F. “John F. Kennedy Quotes – 46 Quotations by John F. Kennedy – Dictionary Quotes.” Dictionary Quotes – Source for Famous Quotes – Quote of the Day – Dictionary of Quotations. Web. 14 May 2010. <http://www.dictionaryquotes.com/authorquotations/856/John_F_Kennedy.php&gt;. MSV Skandi Neptune. BP Oil Leak Underwater Photo 1. 2010. Photograph. Treehugger. Discovery Communications, LLC. Web. 14 May 2010. .
 Stein, Sam. “Gibbs: ‘Premature’ For Obama To Change Position On Offshore Drilling.” Breaking News and Opinion on The Huffington Post. 3 May 2010. Web. 14 May 2010. <http://www.huffingtonpost.com/2010/05/03/gibbs-premature-for-obama_n_561313.html&gt;. La Monica, Paul R. “The Buzz: BP May Keep Falling Due to Bad PR from Oil Spill – May. 4, 2010.” Business, Financial, Personal Finance News – CNNMoney.com. 04 May 2010. Web. 14 May 2010. <http://money.cnn.com/2010/05/04/markets/thebuzz/index.htm&gt;.